Say goodbye to ordinary business meetings. 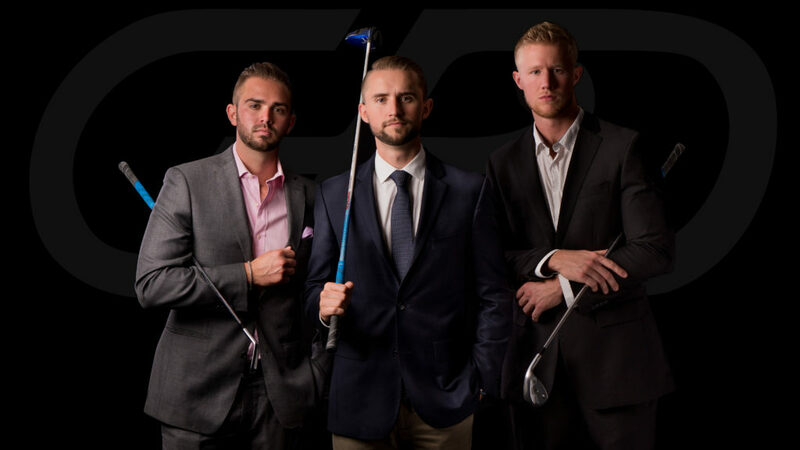 Imagine being able to invite a potential client over to your office, and when he/she gets there, the two of you discuss business while playing a 9-hole round of golf on a world-famous course, all in under an hour. To reserve your office golf simulator, please contact us. Every successful business professional knows that the key to long term success is to develop organic relationships. Historically, golf has been the ultimate activity to help do just that. Think about it, you get to spend 4-5 hours with someone away from the stress of their desk, and you can bond over the never ending struggle to get a small ball into a little hole over 400 yards away. Also, this is a great way to see how a potential business partner or hire handles challenges, success, and pressure situations (think about everyone watching you on the first tee). An interview can’t show you these vital measures. So how do we do it? 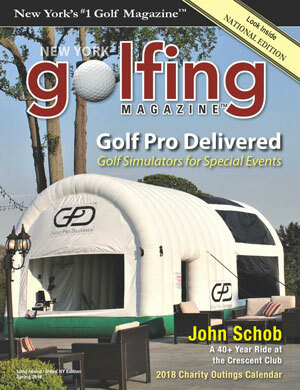 Golf Pro Delivered is a fast growing event company that invented a portable golf simulator. 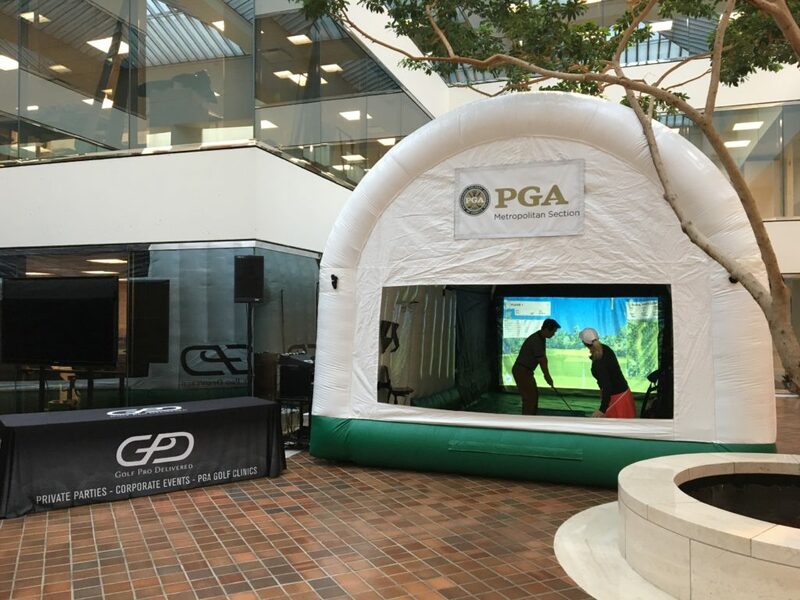 Our simulator can be setup virtually anywhere from your backyard, to your corner office. Our setups even come with a PGA Professional, so that you can have golf instruction be a part of the experience. Setup time is under an hour, and 2 basic power outlets provide everything we need.